Urbanimmersive Technologies Inc. ("Urbanimmersive Technologies") (TSX VENTURE:UI), today presented its audited consolidated financial results, including those of Urbanimmersive Inc., its wholly owned subsidiary, ("Urbanimmersive" and, collectively with Urbanimmersive Technologies Inc., the "Corporation"), for the year ended September 30, 2015. Exercise of 1,400,000 warrants at an exercise price of $0.075 per warrant for total proceeds of $105,000 in January 2016. The 2014-2015 fiscal year was marked by the completion of a commercial strategic turnaround with the development and launch of a new real estate content marketing platform. This turnaround has allowed the Corporation to reduce operating expenses by 51.1% compared to the previous fiscal year and to increase revenues through the generation of new sources of income. Following the launch of the new content platform announced during the first quarter of the 2014-2015 fiscal year, the Corporation continued its research and development efforts and has worked closely with its customers to improve the solution. The Corporation's content marketing platform now includes a content management system, a visual content provider marketplace, an online store (e-store) of exclusive real estate articles produced by freelance writers and a discovery content platform for shared and sponsored content (Discovery Content). The 2014-2015 fiscal year has also allowed the Corporation to validate the commercialisation plan of its content marketing platform. In a first phase, the Corporation signed two strategic agreements, one with APCHQ (l'Association des Professionnels de la Construction et de l'Habitation du Québec) and the other with RE/MAX Quebec. Those agreements allow the Corporation to generate new revenue streams and enable the Corporation to reach their respective member networks. The second phase of commercialisation therefore is to convert members (builders and real estate agents) of these organizations into customers. The conversion of members is performed initially by offering free website newsrooms (a blog web page). These newsrooms offered for free allow members to publish and manage their blog posts, automatically share articles published by their parent organization and post links to other industry news Web pages. Once converted to customers, the third commercialisation phase is to monetize the use of the content marketing platform. Monetization is achieved by offering customers the use of the visual content marketplace to find, order and pay online architectural photographers, purchasing exclusive long-form real estate articles offered by freelance writers, ordering articles about their properties for sale, immersive AVU3D® virtual tours and monthly subscriptions to access advanced platform features such as online chat, newsletter integration, translation services of articles and more. The Corporation derives revenues from commissions on transactions, content production services, publicity and monthly subscriptions for premium services and features. Ultimately, the adoption of the content marketing platform by real estate organizations and their members will allow the Corporation to reach the fourth phase of its strategic commercialisation plan which is the monetization of the distribution network through its content discovery platform (Discovery Content). The integration of the content marketing solution of the Corporation into the web marketing strategy of the APCHQ and RE/MAX Québec has had positive impacts. Subsequent to the year end, the Corporation announced the addition of two other important customers within the Quebec real estate industry: Proprio Direct real estate agency and Projet Habitation. The Corporation intends to intensify business development with real estate agencies. In regards to the monetization of the content marketing platform, the Corporation achieved a significant milestone during the 2014-2015 fiscal year. Indeed, Urbanimmersive announced the signature of Memorandum of Understanding with Centris for the establishment of a 5 year strategic partnership agreement to commercialize Urbanimmersive's real estate visual content provider marketplace. Centris® is the organization that operates the real estate portal, Centris.ca, and that provides technology resources to more than 14,000 real estate agents. The visual content marketplace is an important monetization element of Urbanimmersive's content marketing platform. Once concluded and executed, this partnership with Centris® will allow generation of new revenue through the monetization of payment transactions performed into the marketplace of visual content providers, will increase the number of customers of the content marketing platform (newsroom websites) and ultimately, should increase the potential of monetizing other features of the solution. The Corporation has financed the development and commercialization of its content marketing platform through the successful completion of three fundraisings totalling $1,364,000 in which the Caisse de Depot et Placement du Quebec and Directors of the Corporation participated. This amount includes a financing of $364,000 closed in November 2015, just a few weeks after the fiscal year ended September 30th. The Corporation believes it has sufficient short-term liquidity to execute its commercialisation plan. However, it may have to conduct further fundraising before reaching profitability and / or to support a more aggressive growth plan as business opportunities arise. 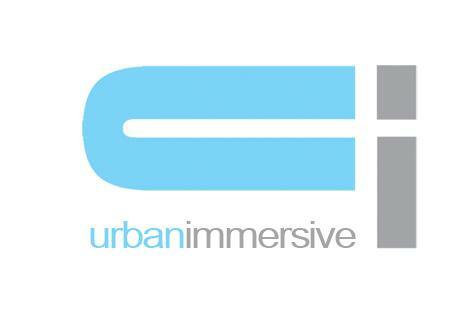 On October 1st, 2015, Urbanimmersive Technologies Inc. amalgamated with its subsidiary Urbanimmersive Inc. The Amalgamated Corporation will continue operating under the name of Urbanimmersive Inc. The Corporation's authorized share capital consists in an unlimited number of Common Shares of which 34,852,957 are currently outstanding as well as 1,324,750 stock options and 7,460,000 warrants. Each stock option and warrants are convertible into one common share of the Corporation. The Corporation may also have to issue a total of 3,000,000 common shares in the event that the convertible debenture conversion options are exercised. Certain statements made in this press release that are not historical facts are forward-looking statements and are subject to important risks, uncertainties and assumptions. The results or events predicted in these forward-looking statements may differ materially from actual results or events. As a result, readers are cautioned not to place undue reliance on these forward-looking statements. For additional information with respect to certain of these and other assumptions and risk factors, readers are invited to refer to the Corporation's audited consolidated financial statement as well as the Management Report for the year ended September 30, 2015 dated January 27, 2016 and filed with the Canadian securities commissions. The forward-looking statements contained in this press release represent our expectations as of the date hereof. We disclaim any intention and assume no obligation to update or revise any forward-looking statements.